Your All Time Favorite Board Game Ever! Growing up I never really picked favorites: favorite food, favorite band, favorite movie; I just liked them all. But somewhere in college that changed; maybe I learned about commitment, maybe my tastes refined, maybe it's just part of getting older. Whatever it was, I learned to pick favorites. Food: Spaghetti. Band: White Stripes. Movie: Labyrinth. If something's my favorite it doesn't mean that I think it's the best ever, or that I always want it, it just means that I love it and I chose it as my favorite because, for some reason, it's special to me. So I've created this list for everyone to share their all time favorite board game. Maybe it's the first game that really got you hooked on the hobby; maybe it's the one you've played the most or that you have the most fun playing; or maybe you just have fond memories playing the game with loved ones. Whatever it may be, please add your favorite board game to this list and share why you love it the most. I lived in Newport Rhode Island for six months. That's where I first played this game, and I played it every week. It's really the game that got me hooked on strategy board games, before that, I didn't even know they existed. It remains my favorite because it is simple to learn, but the strategies can get so intense and scale to who you're playing with. It is my go-to-game for any night and the first game I share with people when introducing them to German style games. You don't have to be an avid board gamer to enjoy this game. After getting introduced to boardgaming by my wife. I was an avid video game player. She figured I would like boardgames as well. I got kahuna from kosmos and we played so much that we started looking for other games. Carcassonne was our second game, that we bought at a local gameshop. The owner introduced us to boardgamegeek. After some research I asked puerto rico for my birthday. We played it with just the two of us and loved it. So much so we invited my sister and her husband to play it as well. With four players it was even better. In eindhoven where we lived there was a con called spellenspektakel which we visited for the next three years. My collection of games grew from 5 up to 35 different titles. among them Dvonn, caylus, maharadja, sint petersburg and tikal. lovely games but no one to play them with besides the occasional visit of my sister. This led to me searching for a gaming group in my local area. Gameforce, primarily a location for magic players, but was also visited by the occasional boardgame geek, got me on the right track. One of the people there (thank you Wilfred) told me about a boardgame society called Roll the dice that plays every second saturday of the month from 19.00 until 2 in the morning. three years later from my introduction to Roll the dice I'm part of the activity commission had my first Essen visit last year and my collection grew from 30 something games to over 100 nowadays. All thanks to my wife and puerto rico. This game delivers a lot of things you want a game to have: tension, replay ability (in the form of the numerous different cards), scales well with differing player counts (in this 1-5), reasonable amount of play time (60-120 minutes in my experience, with the Agricola: Farmers of the Moor adding a bit more time), tight competitive and cerebral play. There are several comments about the boring (or lack of) theme. I find the game very thematic, and this still remains my fave even after 40+ plays. I got it after first trying out Stone Age and Dungeon Petz, and learned the mechanics after a couple of solo plays. 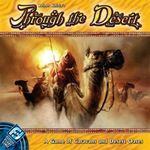 I then taught to the staff of my FLGS, and I was so happy that they "got it" and this has also become of of their favorite games. This game combines so many things I love... it's very thematic, it has nice components, it has a great atmosphere, it has a bit of role-playing, it has a high replay-value, it goes really well with any number of players up to 6, it's cooperative, unpredictable, there are fantastic expansions... - and it's even a great solo-game! Do the right thing. It's usually obvious. I has a stick! A tiny green stick! Am I fickle? Obsessed with the Cult of the New? And it's funny. Really funny. I expect this to rule our table for some time to come. 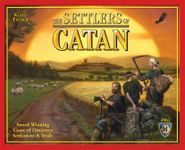 There are lot of games I rate higher now than Settlers. And I see many shoratges of this game, but still - its the game that started it all for me. I doubt I would be here, if there wasn't Settlers of Catan. Although I don't want to play it so often now, it will always remain all time most important board game, and I think - not only for me. In terms of lifetime hours logged, no question, it is Cosmic. It is possible that I will never play the game again, and it will still be my all time record holder. Epic. My first "heavier" CDG, I instantly fell in live with it. Twilight Struggle also deserves special mention as my first CDG, and El Grande, although not one of the games I enjoy most, deserves special mention as my first real Euro. There are consequences for some of your actions. Find a balance over time. Do not pay more than you should. We play a variant where each factory gains one waste naturally every other turn. I enjoy this game so much. This decision was harder than I thought, as there were many games I considered listing as my "all-time favorite" for various reasons. Labyrinth because it was one of the earliest board games that I played regularly with my family. Cribbage because it reminds me of my late grandfather, who was one of my best friends. Magic: The Gathering because it sparked a new wave of interest in board/card games and ultimately opened the door to my love affair with role playing games, which has persisted for more than half my life. I thought of Munchkin for being a big presence during my college gaming years and the source of endless fond memories and good friends. 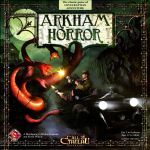 Perhaps even Arkham Horror for being the game that drew me into my current board gaming renaissance and the game that led me to discover BGG. So, all of those are certainly "favorites" in there own various ways, even if I don't think so highly of them as "games" today as I once did. Honestly, it was difficult to call one "more favorite" than another because they essentially all had very different, yet equally profound impacts on my life, both as a gamer and as a person. So, I decided to select my "favorite" by identifying "the game that has given me the most enjoyment in recent years" and "the game I wish I had known about when I was younger". 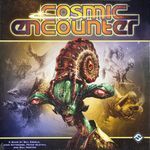 That game is Cosmic Encounter, without a doubt. I first played the Avalon Hill edition of CE once back in college and I very much enjoyed it but, sadly, the friend that owned it moved away and I was too occupied with the copious amounts of other gaming I was involved in to put much effort into seeking it out. It wouldn't be until the FFG release that I would get the game in front of me again. The result has been simply some of the most fun I've had playing board games. CE simply captures just about everything that makes games fun for me. I wish I had known about the Mayfair edition back in my grade school days, as my friends and I that often played Magic and D&D together back then would have had some fantastic times conquering planets and zapping alien powers. I think my favorite is rather situational. I adore Combat Commander. I have a ridiculous amount of fun each time I play and the store each game tells is unique. That being said, CC is a two player only game. With more players, there are a number of contenders. I grew up playing a lot of card games which makes Tichu one of my favorite games. But again, this requires a specific number of players (4, and no I don't like the variations for other numbers of players), so while I really like Tichu, I'm not sure I'd say it is my favorite. Samurai, Power Grid, and Steam are all amazing games to me and I'd play them just about anytime. Samurai is the only one of these three that is ok with two players, and really PG is better with 4 or 5, but I think any of the games I named could be listed as my favorite without me cringing. This is a classic simple game to learn but the strategy takes time to master. I first played this in the 90's and I love it! 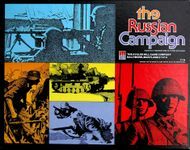 If you like strategic wargames, this is a fun one! I've only recently gotten back into the hobby after a long hiatus. 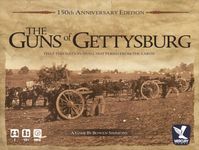 I've played some terrific games in the past couple of months, but if we are talking about favorites, I have to go back to the first board game that really devoured my time. This was the game that really exposed me to football. I learned a lot about the game and the players. Sure, it led to me having an abnormal knowledge of the history of the NFL, but it was great fun. Have some terrific memories of the game and I've recently snagged the last year I was missing from the 1980-92 seasons. Just wish someone made the cards again like Phil Graham does with Statis Pro Basketball. I've played Go thousands of times since I learned it in the mid 90s, and I expect to continue playing it the rest of my life. The strategy and tactics are so rich and create wonderful aha-moments in every game. There is a huge range of player strength from beginner to strong player, but playing handicapped games is a normal part of go culture, so players of unequal strength can both have a reasonable chance of winning in a handicapped game. 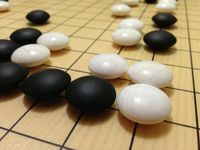 And since the game is thousands of years old, there is a huge body of go-related literature and history and tradition. Plus its large community of players means it's easy to get a game anytime at various online go servers, and there are many clubs and tournaments around the world. It's the first classic abstract strategy game which captivated me so much, and it led me to develop a love for abstract strategy games. If I had to pick my current favorite it would be Combat Commander. But my all time favorite would still have to be SPACE HULK. It has stood the test of time for me. So simple to learn, yet so many good tough decisions one has to make in the game. So many good memories with this game. One of my favorite was back in college every Christmas I would run a huge "Save Santa from the Genestealers" game. We would have 6-7 players each one with their own squad, I would play the genestealers. And their goal was to get to the room Santa was being held captive--it was always a blast. Before I first played Heroscape I'd maybe played 200 Table-top games. Most of the ones prior to this aren't even in my top 50 now. I've played about another 200 table-top games since my first Heroscape game. Heroscape continues to hold the number 1 slot. The gap has gotten much closer, especially with the releases of Mage Wars and Descent 2nd ed. Heroscape never gets old and still has ways to play that I have never touched on. I help designers improve their games. For me, this game is the perfect blend of elegance and depth. It has the cleanliness of an abstract with the multi-player heuristic reasoning and scoring mechanics of a euro. I can't get enough of it. While I rarely play the board game version anymore, this game holds the highest place in my memories. I will always remember introducing it to my friends in college and our league my junior year. The game works on so many levels for me. 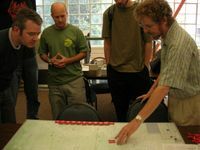 First it is a board game that combines American football, fantasy, and team development. Second the rules generally work and make sense. Third, I love the tactics involved. And lastly it is just a lot of fun! It has its limitations in that it is an investment in resources and time and the teams may not be as balanced as one would like. The time issue is the big one that keeps me from playing the board game version these days in that I don't have a group dedicated to playing this. Thankfully the computer game solves that problem! I chose Civilization because it made me realize what a game could be. The simplicity of design with the overall strategies combined with optimizing each turn . . . It captured my imagination. I have played many, many games over the years, but this one is probably THE ONE. There are many great games. 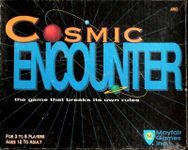 Some of my favorites are Agricola and Power Grid and Game Of Thrones but Cosmic Encounter takes the crown. I have two expansions which I have never used because there already is so much variety in the base game alone. I don't think I have ever had a bad game of CE. It isn't the easiest game to teach because all the aliens break the rules in their own individual way, but give it a game or two and you'll be hooked. The fact that it plays a large group (with the expansions) makes it even better. CE is so much fun in one box. It has been the most rewarding game I have ever purchased. Every time it hits the table I learn more about the game. Its depth is rich and exciting, its will all ways have a home in my collection. When I saw the long blocks he used, I knew these are the games for me. They fit me 100%. I consider them works of art in every aspect.